A true global phenomenon, the Yu-Gi-Oh! brand celebrates 17 years of amassing a fervent following that continues to flourish with each new series and expansion. To date, fans have engaged with more than 800 Yu-Gi-Oh! TV episodes, downloaded the Yu-Gi-Oh! Duel Links mobile game more than 60 million times, supported the brand at the box office and purchased over 25.1 billion units of the Yu-Gi-Oh! TRADING CARD GAME (TCG)! And with a robust slate of new Yu-Gi-Oh! content, games and merchandise in the pipeline, the brand’s future success looks just as bright. It should be no surprise that in Australia – a strong market for the Yu-Gi-Oh! brand – things are really heating up. On the broadcast side, three different Yu-Gi-Oh! series currently air on 9Go!, Nine Network’s free-to-air digital television multichannel. “Yu-Gi-Oh! Duel Monsters” and “Yu-Gi-Oh! ZEXAL” enjoy regular broadcasts, and Season 3 of “Yu-Gi-Oh! ARC-V” premiered in November 2017. “Such TV success and broad exposure have been key in Australia, allowing younger generations to find Yu-Gi-Oh! and discover the trading card game, which continues to be THE driver for the brand at retail – both at specialty and in the mass market,” said Jennifer Coleman, Vice President, Licensing & Marketing for 4K Media, the Konami Digital Entertainment, Inc. subsidiary that manages the Yu-Gi-Oh! brand outside of Asia. In addition to exposure on television, the Yu-Gi-Oh! TCG, which is managed worldwide by Konami Digital Entertainment, historically has been the most active way fans interact with the brand off-screen. Driving the TCG distribution and sales efforts for Konami Digital Entertainment in Australia and New Zealand are distribution partners Banter Toys & Collectibles and Ikon Collectibles. Both companies have supported Yu-Gi-Oh! for years in the territory and have had success placing the Yu-Gi-Oh! TCG at major retailers such as Kmart, Toys R Us, Target, Big W, EB Games and Coles, as well as smaller independents like Good Games and Gametraders. Extreme Force, the first 100-card booster set of the year, features a number of powerful cards that duelists can add to any deck, as well as brand new strategies and individual cards to bolster old favorites, like Noble Knights. Australia’s successful sales of the Yu-Gi-Oh! TCG have also spelled growth in Organized Play (OP) activities for the brand, with a robust schedule of tournament events taking place at Official Tournament Stores (OTS) throughout the region. To date, there are some 120 OP retailers across Australia, a number that has more than doubled in seven years. Yu-Gi-Oh! TCG is available to play across all major cities in Australia, including rural areas. Depending on the type of event, player participation can range from a dozen at smaller local events up to a thousand at a Yu-Gi-Oh! Championship Series event, which is held annually in Sydney or Melbourne. Beyond giving players a pathway to the World Championships (the world’s pinnacle event for Yu-Gi-Oh! TCG competitors), regional tournaments offer fun incentives – such as special mats, electronic prizes, sneak-peeks and more – for fans and players that keeps them engaged with the brand and coming back for more. Another channel that extends the Yu-Gi-Oh! experience to its fans is through the widely popular mobile game, Yu-Gi-Oh! Duel Links. Players take part in competitive card battle action by unlocking characters from the original anime series, building the ultimate deck with iconic cards, and battling players from all over the world. Updated regularly with new content, Yu-Gi-Oh! Duel Links offers players a fresh and quick way to battle other players around the world, while on-the-go. What can Australian Yu-Gi-Oh! fans look forward to next? In the coming months, new Yu-Gi-Oh! merchandise will be available from a number of licensees. Among the highlights include: headwear, sleepwear, footwear, electronic accessories and fleece throws from Bioworld; branded mugs and posters from GB Eye; a line of stylized vinyl collectible figures and other related products from Funko; collectible figurines from Kotobukiya; figma figures and figurines from The Good Smile Company; Kawaii Cube Collections from Tastemakers (formerly Wish Holdings); a line of Yu-Gi-Oh! 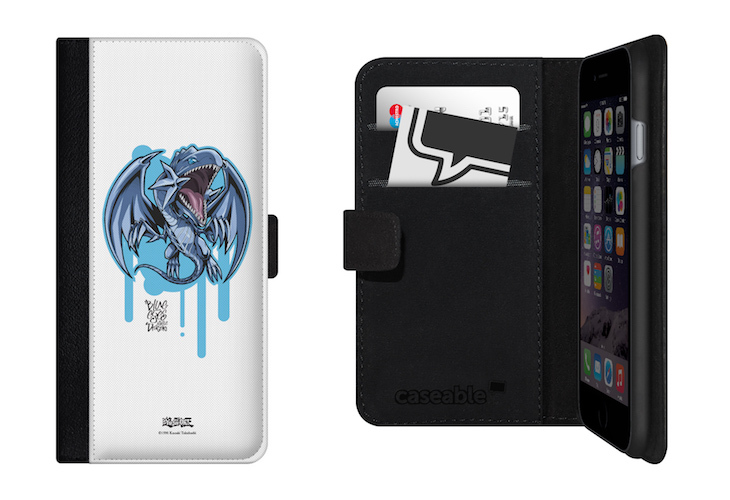 Duel Monsters and Super Deformed electronic phone covers and cases from Caseable; and a distinctive collectibles line available exclusively at GameStop. Additionally, Yu-Gi-Oh! TCG fans will get to experience the Lost Art promotion in Australian stores. Players who spend a minimum of $45 on the Yu-Gi-Oh! TCG will receive an exclusive artwork card that has never been released before in the TCG collection. Kicking off in March, the promotion will run six months and offer Australian fans a new card to collect each month. From the content side, fans will be able to continue to engage with the brand on multiple screens. The sixth animated television series, “Yu-Gi-Oh! VRAINS” will debut in 2018. This Spring, the digitally remastered version of the original 2004 feature film, “Yu-Gi-Oh! The Movie,” launches internationally for a limited theatrical event followed by digital and DVD release. Also, new exciting updates are planned for Yu-Gi-Oh! Duel Links in the coming months, enhancing the mobile gaming experience for fans. For more information about the Yu-Gi-Oh! franchise and its related licensing and distribution opportunities, contact Jennifer Coleman at 4K Media or Satis Patel at Coverpoint Marketing. For information regarding the Yu-Gi-Oh! TRADING CARD GAME, contact Peter Stone at Konami Digital Entertainment.